Keeping your home neat and clean serves many purposes. Aside from the obvious benefit of cleanliness, it increases the home’s value, impresses guests, and makes the house more comfortable to live in. If your home has carpet, you’re going to want to do all you can to ensure it remains spotless. However, accidents happen, and they are an unavoidable part of life. These best 10 carpet-cleaning tips will ensure that you are prepared to handle common types of mishaps while keeping your carpet looking brand new. Remember if tthe DIY approach seems like hard work you can always call professionals like Pro Carpet Cleaning Brisbane who guarantee every job they do. But if you don’t mind getting your hands dirty, enjoy the tips below. Whether it is the result of children, pets, or even your own clumsiness, carpet stains can quickly turn a pristine home into a messy one. However, they can be removed with everyday household products, so you will always be equipped to deal with them. While hydrogen peroxide is typically used as a household disinfectant, it can also be utilized to deal with carpet stains. Hydrogen peroxide typically works best on dried liquids, such as blood or vomit. Using it is deceptively simple: you simple pour a small amount on the stain, and then dab it with a cloth or sponge until it the area is dry. If the stain has not been completely removed, repeat the process with a small amount of hydrogen peroxide. A word of caution: pouring too much may distort the color of your carpet, so use it sparingly. Wine is a stain that frequently plagues, and can be one of the most unsightly. Luckily, to remove it, you simply need a mixture of vinegar and dishwashing soap. If the wine has only been spilled recently, you have a better chance of completely removing it, as it will not have had time to settle. Dabbing the spill with a paper towel will absorb most of the liquid from the fibers. To remove the rest, mix vinegar, dishwashing liquid, and warm water together before using a sponge to apply it to the stain. Blot gently, and it should lift the stain out of the carpet. Gum is one of the most frustrating, irritating messes that you can deal with as a homeowner. Usually a result of children who do not know any better, gum that becomes stuck in carpet can seem hopeless to get out. However, there is a simple, household solution that can prove to be your saving grace: ice. Placing a plastic bag full of frozen ice will cause the gum to become firm, and subsequently able to be scraped off. To remove any remaining gum, a cleaning solution can be applied to the mess. Like gum, candy is bound to end up embedded into your home’s carpet if you happen to have children. Also like gum, it can be scraped off of the fibers, but you won’t need ice, this time. Hard Candies: These become crushed and embedded into the carpet fibers, making them difficult to remove. Taffy: Taffy’s gooey consistency can be just as unpleasant to deal with as gum. Chocolate: Treats made of chocolate can easily get mushed into the carpet. A simple solution of soap and water will be sufficient; this will dissolve the sugar, which is what serves as the adhesive. After the candy has loosened its sticky grip on the carpet, it will be able to be scraped off. Grease can be a nasty surprise if it ends up on your carpet. Although fairly uncommon, it is always an unpleasant experience when it does. When you wash your dishes, the soap breaks down and removes grease from pots and pans so that it can be rinsed away. This solution also does the same thing to grease that is trapped within carpet. The most efficient method to apply dishwashing liquid to a grease stain is to pour it into a spray bottle and spray it onto the area. Larger stains may take more effort and dishwashing liquid, so be prepared. A rushed morning routine can lead to an unwanted coffee stain. In the event of this unfavorable scenario, a mixture of dishwasher soap, vinegar, and water will help lift the stain out of the carpet. After blotting the stain with a sponge or cloth, cold water should be used and then dried immediately to cause the stain to disappear. Coffee is one of the more unsightly stains your carpet can experience, so be sure to begin removing it immediately. Fighting stains is just half of the battle. Carpets will quickly become filthy in appearance if they are neglected. If you act preemptively, it will not be a difficult task to keep your carpet looking spotless, which will enhance the entire atmosphere of your home. Vacuum: First, you will want to remove any dirt that may prevent the baking soda from settling into the carpet. Apply: Use a generous amount, and let it set. The longer you wait, the greater results you experience. Vacuum Again: Afterwards, simply vacuum all of the baking soda from your carpet. Your carpet will now be extra clean and free of any unwanted smells. Deep cleaning every so often is a solid method to make sure your carpet stays looking fresh, clean, and tidy. A professional deep cleaning service will allow you to lift stains that have settled over the years, as well as make the surface look spotless. Deep cleaning every five or six months will prevent your carpet from looking worn and dirty. Heating stains will cause them to set deeper. Heat causes the stain to initially evaporate, but will be harder to remove in the long run. This results in the misconception that applying heat to stains is a viable solution. The more quickly you handle stains, the less likely it is that they will set to deep, and they will also be easier to clean. 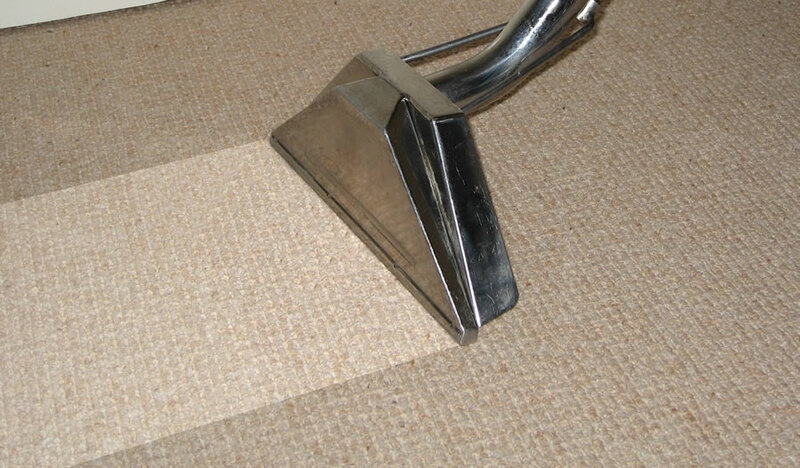 Stay attentive to the cleanliness of your carpet to ensure that it is always in its best, most presentable condition. If you are interested to have profesional cleaning submit your details for a free quote to get your carpets looking clean and fresh. Thanks for reading and if you c=have any comments please leave them below.